Rohde & Schwarz has been selected by Cranfield University to install its fully IP R&S VCS-4G voice communications system in what is expected to be UK’s first Digital Control Tower at Cranfield Airport. The tower is expected to go live in December 2018. For secure air traffic control (ATC) communications, Rohde & Schwarz will supply and install four controller working positions at Cranfield Airport with a full IP voice communications system (VCS). The R&S VCS-4G system provides a fully integrated digital solution embracing voice communications, video streams, data communications and other services. The solution integrates and interfaces smoothly the analogue radios and the existing analogue telephone lines with VoIP technology embedded in the fully IP based R&S VCS-4G system. Data streams as well as door access control and other functions are all handled within the VCS, making it a central platform for the implementation of the Digital Control Tower. The state-of-the-art Digital Control Tower to be installed at Cranfield replicates what can be seen through the windows of a traditional air traffic control tower via a live feed of panoramic views across the airfield using HD cameras and sensors. Digital Control Towers provide air traffic control services by digitising and integrating airport functions and improve a controller’s situational awareness, enabling quick and informed decisions. The new system will allow controllers to zoom in on aircraft, improving visibility. A mast will be installed at Cranfield Airport, equipped with cameras and sensors to record activity. The data will be projected onto a 360-degree view on large screens in front of air traffic controllers. As well as serving Cranfield Airport, the facility will further enhance Cranfield University’s research capabilities, which include the Aerospace Integration Research Centre (AIRC) and the newly announced Digital Aviation Research and Technology Centre (DARTeC). R&S VCS-4G is based on VoIP technology with support of SIP, RTP, R2S protocols according to EUROCAE WG67 ED standard specifications. Due to its unique architecture, the system is highly scalable and can be easily expanded without replacing existing equipment. 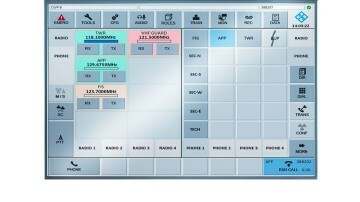 The R&S VCS-4G system has been designed to meet next generation ATC requirements such as asset sharing, facility consolidation, geographical distribution and remote tower technology, providing air navigation service providers (ANSPs) with an effective solution for present and future safety and efficiency objectives in global aviation. Cranfield is an exclusively postgraduate university that is a global leader for education and transformational research in technology and management.